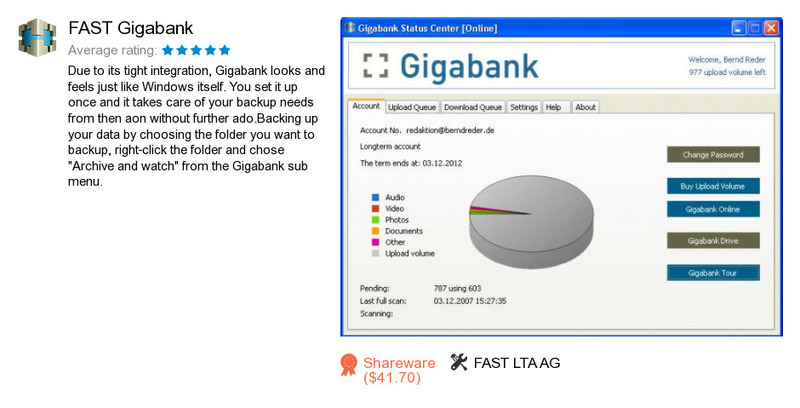 FAST Gigabank is a program developed by FAST LTA AG. We know of versions 2.0, 2.0 beta. Version 2.0 is downloadable at our site. FAST Gigabank package has a size of 6,572,570 bytes. As FAST LTA AG says: Easy like Windows itself.